Smithtown residents are represented by eight elected officials. A five member Town Board, consisting of the3 Town Supervisor and four Town Council members. The Smithtown Supervisor is the town’s chief fiscal and executive officer. Elected to four-year term and serving in a full-time capacity, the Supervisor formulates the town budget and presides at Town Board meetings. The Supervisor appoints committees and delegates certain responsibilities to the Town Council. Together with the Town Supervisor, the Town Council enacts ordinances, adopts a budget, manages personnel matters, oversees town-wide planning and zoning, establishes recreation areas and participates in town meetings. Elected to four-year terms by voters from the entire town, each of the four council members serves as a liaison to various departments under the town’s jurisdiction. The Smithtown Highway Department is responsible for the maintenance and improvement of the town's public road infrastructure. The infrastructure includes more than 460 miles of roads, drainage systems, recharge basins, and curbs. 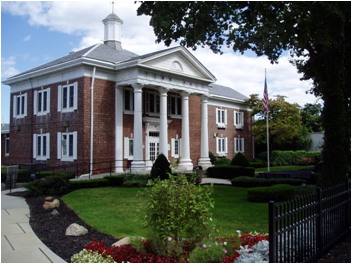 The Town Clerk's Office is responsible for recording all vital records, the activities of town government as well as storing the documents that are important to the lives of Town residents. The Receiver of Taxes is responsible for collecting all real property taxes levied by the town, county, and school districts.